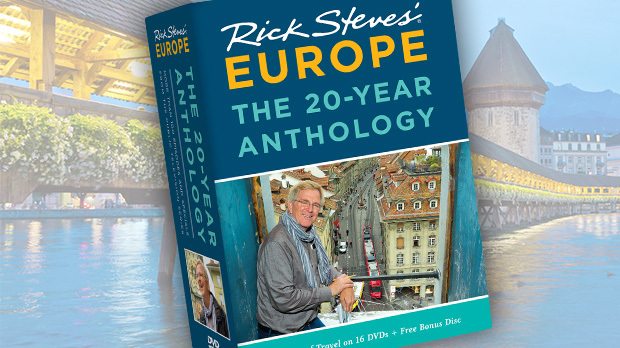 I'm writing this today in Santiago de Compostela, in the northwest corner of Spain. I have a three-part agenda: See pilgrims reach their goal in front of the cathedral, explore the market, and buy some barnacles in the seafood section — then have them cooked for me, on the spot, in a café. Whenever I'm here, I make a point to be on the town square facing the towering Cathedral of St. James at around 10 in the morning. 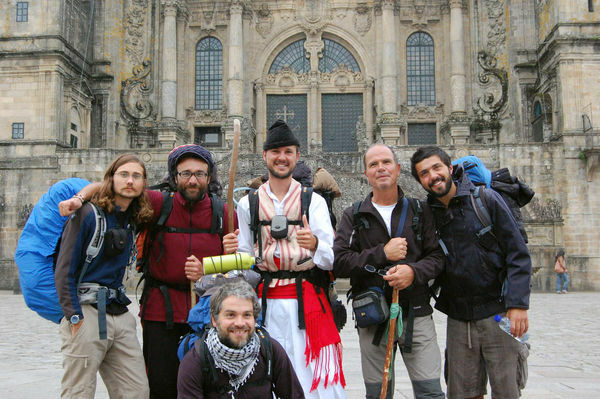 That's when scores of well-worn pilgrims march in triumphantly from their last overnight on the Camino de Santiago (the Way of St. James) — a 30-day, 500-mile hike from the French border. Since the Middle Ages, humble hikers have walked these miles to pay homage to the remains of St. James in his namesake city. Their traditional gear includes a cloak; a pointy, floppy hat; a walking stick; and a gourd (for drinking from wells). The way is marked with yellow arrows or scallop shells (a symbol of the saint) at every intersection. Doing the entire route from the border to Santiago takes about four to six weeks. At journey's end, hikers complete their pilgrimage by stepping on a scallop shell embedded in the pavement at the foot of the cathedral. I just love watching how different pilgrims handle the jubilation. 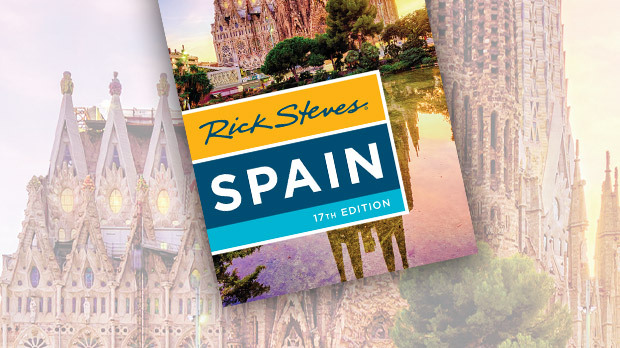 Most people picture Spain as a hot, arid land, but if Europe had a rain forest, it would be here. Rain off the Atlantic has colored Santiago's granite green with moss. But there are no showers this morning. The church is back-lit by the rising sun and, looking up, the weary pilgrims squint...small before God. Routinely, pilgrims ask me to take their photo and email it to them. Then they say, "I've got to go meet with St. James," and as has been the routine for a thousand years, they head into the cathedral. Two blocks away, Santiago's public market is thriving, oblivious to the personal triumphs going on at St. James' tomb. There's something basic about wandering through a farmers market early in the morning anywhere in the world: Salt-of-the-earth people pull food out of the ground, cart it into the city, and sell what they've harvested to people who don't have gardens. Dried-apple grandmothers line up like a babushka cancan. Each sits on a stool so small it disappears under her work dress. At the women's feet are brown woven baskets filled as if they were cornucopias — still-dirty eggs in one; in the next, greens clearly pulled this morning, soil clinging to their roots. One woman hopes to earn a few extra euros with homebrews — golden bottles with ramshackle corks — one named licor café, the other, orujo casero (which is homemade grappa). I see rickety card tables filled with yellow cheeses shaped like giant Hershey's Kisses...or, to locals, breasts. This local cheese is called tetilla to revenge a prudish priest who, seven centuries ago, told a sculptor at the cathedral to redo a statue that he considered too buxom. Ever since, the townsfolk have shaped their cheese like exactly what the priest didn't want them to see carved in stone. You can't go anywhere in Santiago without seeing its creamy, mild tetilla. Stepping farther into the market, I notice spicy red chorizo — sausage in chains framing merchants' faces. Chickens, plucked and looking as rubbery as can be, fill glass cases. Fisherwomen in rubber aprons and matching gloves sort through folded money. There's a commotion at the best stalls. Short ladies with dusty, blue-plaid roller carts jostle for the best deals. A selection of pigs' ears mixed with hooves going nowhere fills a shoebox. The ears, translucent in the low rays of the morning sun, look as if someone had systematically and neatly flattened conch shells. From one vendor I buy percebes (barnacles) at about $16 a pound; they're one-third the price I'd pay in a bar. I get a little less than half a pound and hustle my full bag over to the market café called Churro Mania. There, Ramón and Julia boil them for $4 per person, plus 10 percent of the cost of whatever you have them cook up. 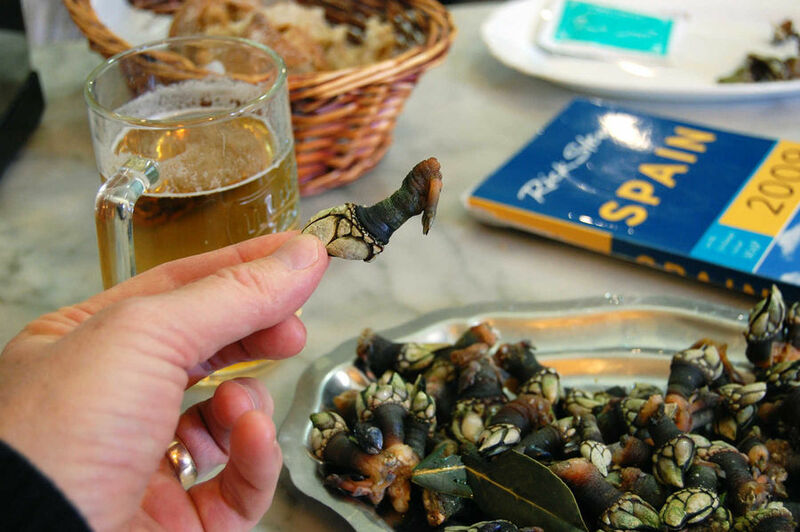 Feeling quite like a local — sipping my beer so early in the morning — I wait for my barnacles to cook. Then comes the climax of my morning: Julia brings my barnacles, stacked steaming on a stainless steel plate, as well as bread and another beer. I'm set. Twist, rip, bite. It's the bounty of the sea condensed into every little morsel...edible jubilation in Santiago.